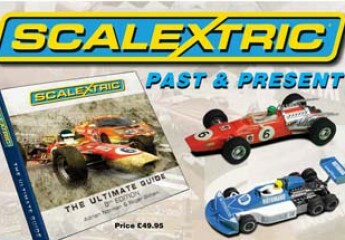 If you need to know anything about the history of Scalextric from the 1950s up until 2015 then this is the book for you! First published in 1981 this tome of ‘all things Scalextric’ has grown to a massive 700+ pages. Now with a ‘Collectors check box’ feature in the new Gallery section. This book is a complete history of Scalextric and includes aspects such as the business history, the products, the events, the competition history, the evolution and development and, of course, complete inventory listings of Sets, Cars, Accessories, Track, etc, etc. IMPORTANT – PLEASE READ The price includes postage in mainland UK only. If you require posting outside of mainland UK please email for shiping cost.